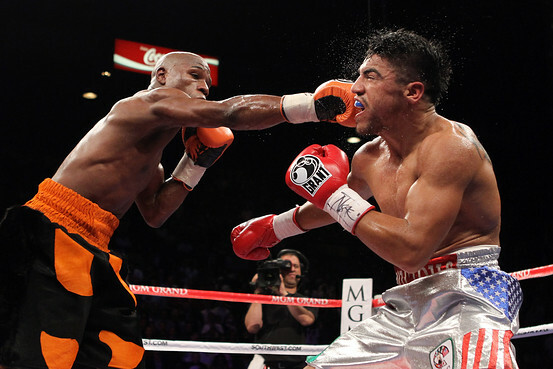 This fight had a hilarious outcome, but not for Victor Ortiz! The fight took place at the MGM Grand Garden Arena. From round one, Mayweather used his speed, skills and accurate right hand to tag Ortiz repeatedly. In the fourth round Ortiz had some success, landing a few shots and stinging Mayweather before bulling him into the corner. He then rammed Mayweather in the face with a headbutt, Referee Joe Cortez immediately called time out and docked Ortiz a point for the blatant foul. Ortiz, apparently acknowledging his wrongdoing, hugged Mayweather. Cortez motioned the fighters back together to resume the fight, without putting them in a neutral corner. Both fighters touched gloves, and Ortiz gave Mayweather another hug. At that moment, Cortez was not looking at the fighters. 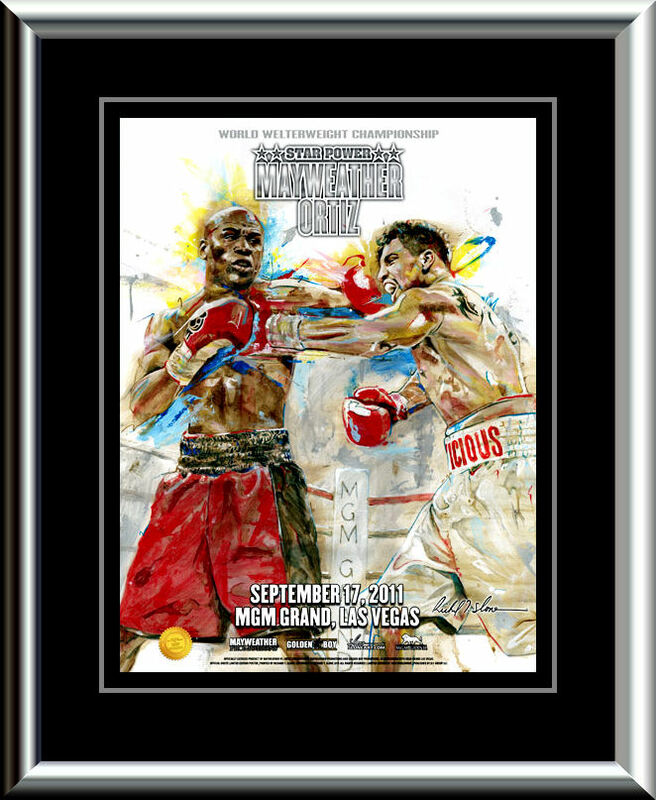 As Ortiz let go, Mayweather took advantage of Ortiz not having his hands up and unloaded a left hook which rocked Ortiz. Ortiz then looked at the referee, and Mayweather connected with a flush right hand to Ortiz's face. Ortiz crashed to the canvas, and was unable to beat Cortez's count as the crowd jeered Mayweather. 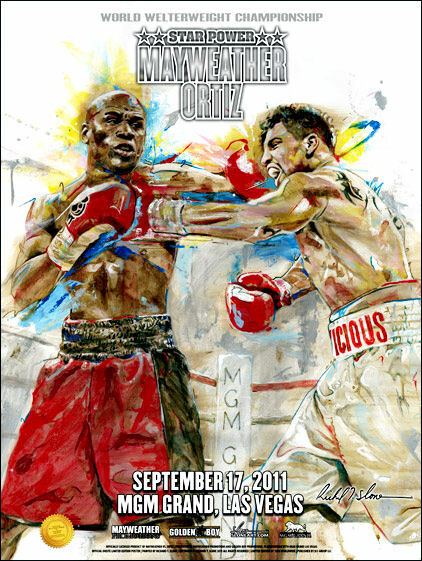 After the fight Ortiz claimed that he was merely obeying the referee's instructions when he was "blindsided" by Mayweather, who defended his actions by saying that "In the ring, you have to protect yourself at all times"